Original article published by The Cochran Journal on 2/19/2013. 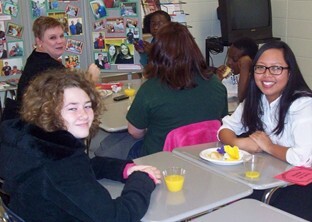 As a highlight of January being National Mentoring Month, Bleckley County Middle School hosted a Mentor Appreciation Breakfast on Friday, January 25, 2013 for Mentors serving in the CIS/FC Mentoring Program. Over 40 Mentors, Mentees and guests were in attendance for the fun-filled event. 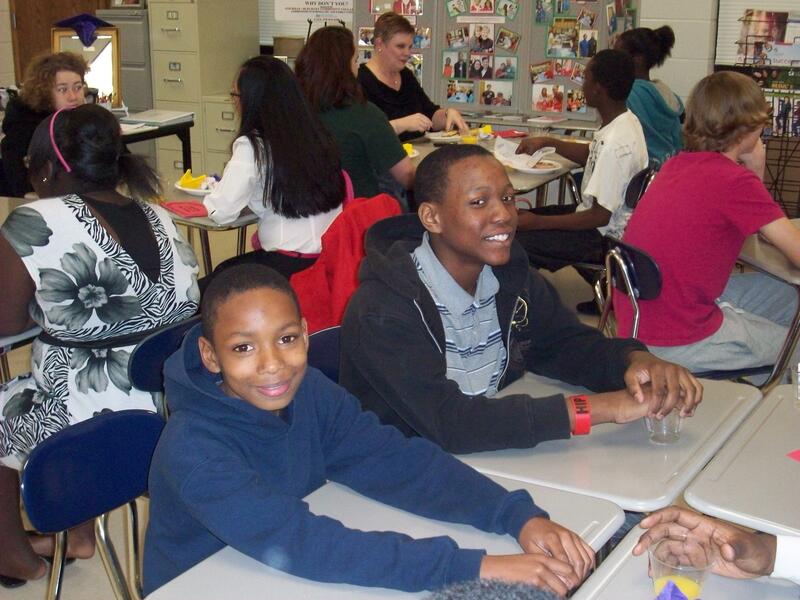 Bleckley Middle School is proud to have 25 Mentors volunteering their time to meet once a week with their Mentee for an entire school year. Together they enjoy all types of activities such as drawing, cards, basketball, painting, jewelry making, board games and lots of laughter and conversation. The program is designed for both the students and adult to form a strong trusting friendship and to have FUN! In addition to mentoring, Communities in Schools of Cochran/Bleckley County and Family Connection Community Partnership, Inc. provides the following initiatives for our school system: 21st Century Community Learning Center After School Program, Abstinence Education and Youth Development program and Safe Schools/Healthy Students program services which include Mental Health services, Family Case Management services, Parents As Teachers program or Wellness and Prevention programs.